If your digital marketing strategy is targeted at the faceless masses, then you’re fighting a losing battle. This hit-and-miss strategy may seem like it will help you hit more birds with a single stone. However, the reality is that you will never really be hitting the mark when it comes to speaking to your ideal customer. 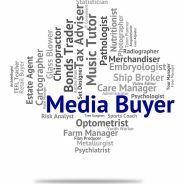 A comprehensive buyer persona will help you to categorise your core customers according to their needs, likes and dislikes, spending habits, online habits, personalities, geography and demographics. This type of relevant information can help you craft your marketing messages logically so that the narrative really speaks to your potential buyers. Creating buyer personas may seem like a laborious exercise, but once this is done, you will be able to better understand what motivates your customers and how they make purchasing decisions. This can also help you plan your sales funnel and create the framework for you to craft content that will move them through the sales funnel. Once you have established your buyer personas, you can craft your content according to their needs and challenges. You can also use this information to streamline your SEO initiatives. If, for example, you are trying to market a product to a certain gender and age group within a specific geography, you can include relevant descriptions in your content to help these potential buyers find you in Google. This information can also be used in your Facebook marketing campaigns, where you can create audiences based on demographic information and likes.